National politics have been marked by disorder and instability, starting at the very top of our government, The White House. Staff shakeups, policy confusion and a lack of transparency have weakened America’s posture as an efficient, representative democracy at home and abroad. The actions — and inaction — of our elected officials have put the future of our democracy on the line. Partisanship is partially to blame for how we got here, but we are not powerless to do something about it. Ordinary citizens like you continue to face these challenges every day by raising your voices to hold our elected officials accountable. When you come to our platform, the world’s leading hub for civic organizing, you join tens of millions of people — from the right, left and everywhere in between — who are elevating petitions demanding fair and effective representative government. Nancy H. from Chappaqua, NY, and her 430,000+ supporters have kept pressure on President Trump and Congress to release his tax returns. Harold J. from Boca Raton, FL, has been fighting to save the pre-existing conditions protection for Americans as the future of health care has been in debate. Jill M. from Montgomery, IL, moved quickly with her supporters to call for a special prosecutor following the firing of former FBI director, James Comey. Our democracy is at its best when we have full transparency and total accountability. People like Nancy, Harold and Jill have made the choice to actively work with others, not further the divide that often distances citizens and cripples our nation’s pursuits. They’re able to do so thanks to the generous support of Change.org members, who contribute on a monthly basis to help others make a difference. They help fund the tools and professional support that help give power back to the people (which is particularly important given the Trump administration’s unresponsiveness to We the People petitions). Our tools provide anyone, anywhere with the chance to share their stories and attract audiences to mobilize for action. We know that many citizens don’t live in big cities. Folks like you may not be able to attend organized rallies or join local chapters. That can’t be a limiting factor in these critical times for civic engagement. Change.org offers free access to member-funded resources, which allow people without deep pockets and influence to build public support for the issues close to their hearts. As an open platform, citizens put politics aside to fight for the well-being of their family members, local communities and the nation at-large. It’s a place where partisanship doesn’t have to rule the day. Though August is known to be a slow month for politics, now is the time to plan for the big decisions coming our way. Critical political appointments — such as a new Department of Homeland Security secretary — need to be filled by the Trump administration. Congress will soon turn its attention to tax reform, the federal budget, and government funding resolutions. As we’ve witnessed, the debate over healthcare is never over. Stay tuned for more updates about political accountability campaigns taking off and others ways you continue your active participation. Thank you for choosing to be part of a vocal community of action-takers on Change.org who are working to make sure our leaders, institutions and systems serve all Americans! Valget til EU-parlamentet kan føre til store endringer, men kanskje ikke så mye som EU-eliten frykter. Hvis nasjonalistene holder trykket oppe i oppmarsjen til EU-parlamentsvalget, vil EU aldri bli det samme igjen. Nasjonalister er kodeord for dem som er mer eller mindre motstandere av utviklinga av EU i retning av en føderalstat. I EU er tilhengere av nasjonal suverenitet noe av det verste man kan være, og det er ingen grenser for hvor mange fordømmelser som øses ned over dem som ikke liker det hellige EU-evangeliet. Men hvordan ser det ut foran parlamentsvalget? Er det så dramatisk for Brussel som Foreign Policy skriver? Tyskland: CDU/CSU leder, SPD gjør det fortsatt dårlig og AfD holder seg omtrent. I oktober 2018 hadde CDU/CSU så lite som 27% og AfD 16%. Det ville ha vært dramatisk. I april 2019 ligger de kristelig-konservative på 32% og AfD på 10%. Det er ikke noe jordskjelv. SPD har her klart å krabbe seg opp på 18% etter å ha vært nede i 15%. Det mest kritiske er antakelig hvor svekket SPD vil bli. Men AfD hadde jo ingen representanter i det utgående parlamentet, så uansett vil de gjøre en betydelig framgang. SPD ønsker en EU-stat, mens AfD vil ha et «nasjonalstatenes EU». Frankrike: Macrons allianse leder, men bare såvidt. De får 24% i de siste målingene mot Marine Le Pens RN som får 21,5%, men de har vaket veldig nær hverandre og så seint som i mars 2019 var RN et ørelite stykke foran med 21,% mot 21%. I desember 2018 var Macron nede i 15%, så hans brutale undertrykking av de gule vestene har lykkes et stykke på vei til å konsolidere hans posisjon. Men det hele vakler, og det skal lite til før LREM ramler ned igjen. Macron hadde trengt en krig eller ei nasjonal krise som er enda større enn den han alt har for å være litt tryggere. Ungarn: Landet er EUs uskikkelig stat og Viktor Orbán er hatobjekt i Brussel. Men det har ikke rokket ved hans eller partiet Fidesz sin posisjon i hjemlandet. Partiet får rundt 50% i meningsmålingene og ingen andre har noe å stille opp. Italia: Regjeringskoalisjonen av Lega og Femstjernersbevegelsen har rundt 60% oppslutning. Men det nye som har skjedd er at Lega og Matteo Salvini styrker seg markant på bekostning av M5S. 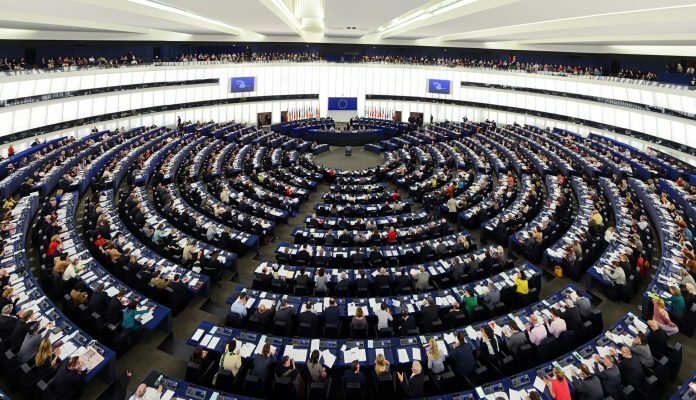 I meningsmålingene for EU-parlamentet får Lega opptil 36,9% mens regjeringspartneren får 22,3%. «Sosialdemokratene» i PD, som er det fremste EU-partiet i Italia ligger i underkant av 20% og har ikke klart å utnytte verken skandaler i regjeringa eller noe annet for å bygge seg opp igjen. I det forrige EU-valget gjorde deet brakvalg og skilte seg markant ut fra sine partifeller ellers i Europa – 40,8%. Hellas: Glansen har for lengst gått av det tidligere venstrepartiet SYRIZA som nå er bestevenner med Trump og Netanyahu og bestyrer den greske økonomiske katastrofen på oppdrag fra bankene. Meningsmålingene gir dem 22,7%. Høyrepartiet Nytt demokrati får 36,4, kommunistene i KKE 7% og fascistene i Gyllent daggry 7,2%. Den markante skiftet i Hellas er altså at ND har fått tilbake sin gamle styrke og at den venstrebølgen som brakte SYRIZA til makta ikke finnes lenger, ikke minst fordi den er blitt så grundig forrådt av sine ledere. … visste da vi bombet at det ville være andre måter å ramme serbisk TV på. Det var ingen enkelt bryter som kunne slå av alt, men vi syntes det var et godt trekk å angripe dem og den politiske ledelsen var enig med oss. Dette står å lese i den endelige rapporten fra FN om NATOs bombing av Jugoslavia. Altså, for å gni det inn: NATO bombet serbisk TV med viten og vilje og drepte et stort antall journalister fordi de syntes dette var et «godt trekk» for å stoppe serbisk kringkasting. IFJ slår fast at til denne dag er ingen blitt stilt ansvarlig for dette angrepet på pressefriheten og arbeidende journalister, og de kaller det med rette en krigsforbrytelse. On Earth Day, MintPress brings you a piece originally published last May, on the U.S. Department of Defense’s toxic legacy throughout the world. The DoD produces more hazardous waste than the five largest U.S. chemical companies combined. One of the most recent testaments to the U.S. military’s horrendous environmental record is Iraq. U.S. military action there has resulted in the desertification of 90 percent of Iraqi territory, crippling the country’s agricultural industry and forcing it to import more than 80 percent of its food. The U.S.’ use of depleted uraniumin Iraq during the Gulf War also caused a massive environmental burden for Iraqis. In addition, the U.S. military’s policy of using open-air burn pits to dispose of waste from the 2003 invasion has caused a surge in cancer among U.S. servicemen and Iraqi civilians alike. This article was first published on May 15, 2017. Nå skal vi ikke glemme at US nå har to baser også på norsk jord. Det er viktig å holde et våkent øye med disse basene. Så arrogante som det amerikanske militæret er, kan muligheten for forgiftning av områder være stor. Brigadier General Hossein Salami, 58, will replace Mohammad Ali Jafari as the elite unit’s commander-in-chief, Iranian state media reported Sunday. Salami served as Jafari’s deputy since 2009 and began his career in the Guards in 1981. He is a veteran of the Iran-Iraq War. Though Tehran has recently engaged in diplomacy to keep afloat the JCPOA nuclear deal after it was abandoned by the US, Salami’s appointment could represent a dramatic shift in Iranian policy, Maloof believes. I would expect it’s an indication from the Iranian leadership of a greater resistance, a greater standing-up to the Trump administration's sanctions, and an increasing likelihood for a confrontation. Earlier this month, Salami said he was “proud” to be called a terrorist by Washington, who on April 15 had officially designated the IRGC a foreign terror group. Maloof said America’s move likely played some part in the new appointment, but added that it could be better explained by Washington’s recent elimination of waivers on sanctions targeting Iran’s oil sector. “It comes a day after the US says it was not going to grant further waivers on Iran’s oil exports,” he said, adding that the move represents a “total embargo” on Iranian oil. It’s a clear signal that we’re going to be seeing the potential for greater military escalation in the very near future. 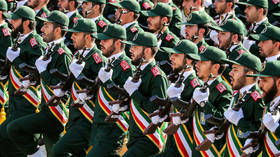 ALSO ON RT.COMUS labels Iran’s Revolutionary Guards as ‘terrorists’. But who are they? MOUNTAIN VIEW, CALIFORNIA — Press TV — the Iranian government-funded TV news outlet — has been “shut down” on Google’s platforms, including YouTube and Gmail. The move coincides with similar action taken against HispanTV, an Iranian Spanish-language channel. With increasing repression of Iran’s official vehicles of communication to the world, the country’s voice is stifled in front of international audiences — and that’s the goal. “The Google account for [Press TV] was disabled and can’t be restored because it was used in a way that violates Google’s policies,” the company told the outlet in an email. The internet behemoth refused to offer any further reason. Press TV noted that Google “has refused to offer an explanation for shutting down the accounts.” They add that they have violated “none” of Google’s listed policies. Iran has been on the receiving end of more than its share of censorship. Facebook has repeatedly banned “networks” it believes are “tied to Iran.” Meanwhile, both Press TV and HispanTV have faced prior crackdowns from Google. Recently, Instagram banned a number of Iranian officials following the U.S. designation of Iran’s military as a foreign terrorist organization. In some cases, Facebook has even worked with CIA-funded cybersecurity firms to target accounts. The State Department later trumpeted those findings in a report on Iran’s cybersecurity threat to the U.S., but opted to omit the source of the evidence. The State Dept. report cites banned Facebook & Twitter accounts in "Iran's Threat to Cybersecurity." Iran finds itself in the crosshairs of social-media censorship with a number of other countries that are, incidentally or not, in the crosshairs of the U.S. State Department. Those countries — in Beltway parlance, members of the “axis of evil” (Russia, China and Venezuela) — have also faced bans on platforms like Twitter, Facebook, and Google since hysteria over “Russian influence” ops, or meme warfare, overtook the U.S. in the aftermath of the 2016 election. It’s also not the first time Press TV has faced this kind of censorship from Google. It notes that it was first dropped from YouTube in August 2013. This is a clear war against humanity and international rights groups must take Israel to the [International Criminal Court] over its crimes against prisoners. A report on Baraka’s denunciations is also carried by Middle East Monitor, which has not been banned. While there isn’t any hard evidence linking the HispanTV report to Google’s crackdown, Israeli media appears all-too-eager to draw a connection. This is not the first time; on several occasions they have applied different measures to show the world a distorted image of Iran. On several occasions, they took our channel off the air, under the pretext of anti-Iranian sanctions. Yet the embargoes have nothing to do with media and can not prevent freedom of expression. Earlier this year, U.S. authorities placed an American Press TV journalist, Marzieh Hashemi, in jail for 10 days despite her not having been charged with a crime. In an explanation as opaque as the one offered by Google in its decision to disable the Iranian accounts, Hashemi was said to have been detained because she was wanted as a “material witness” to a grand jury investigation. No further information regarding her imprisonment has been offered. Google’s crackdown on Iran is multifaceted, not just singling out its media for censorship, but also shutting down the accounts of its officials. Indeed, Google is on a path to destroy Iran’s ability to independently communicate its message to the world. MintPress News has previously reported on how the U.S. decision to designate Iran’s military as a “foreign terrorist organization” gives the Trump administration all the pretext it needs to go to war with Iran. It is possible that this designation has also emboldened Google’s crackdown on Iranian accounts. Facebook said one of the account groups was discovered as it stepped up investigation efforts ahead of the midterms. They did NOT allege that the pages intended to disrupt them. Late last month, President Donald Trump met with Google President Sundar Pichai, discussing “various things that Google can do for our Country [sic].” The “meeting ended very well!” the president said.